There are a great number of apps and browser extensions available to download YouTube videos on Windows PC. However, Mac owners have fewer options, due to the fact that many companies do not make system compatible software for Mac computers. Nevertheless, the software that is made for the high tech, professional grade Mac computers, are extremely efficient and well tested for accuracy and quality. In this case, any one software program, free or paid for, used on Mac, supersedes that of five programs made for the exact same purpose, used on Windows. With that, Mac users partake in some of the same activities as those who use Windows. So, why are there so many programmers not making Mac compatible software programs, especially when it comes to free downloading? Well, from this day forward you will not have to worry about that, because when it comes to downloading using a Mac, we’ve got you covered. 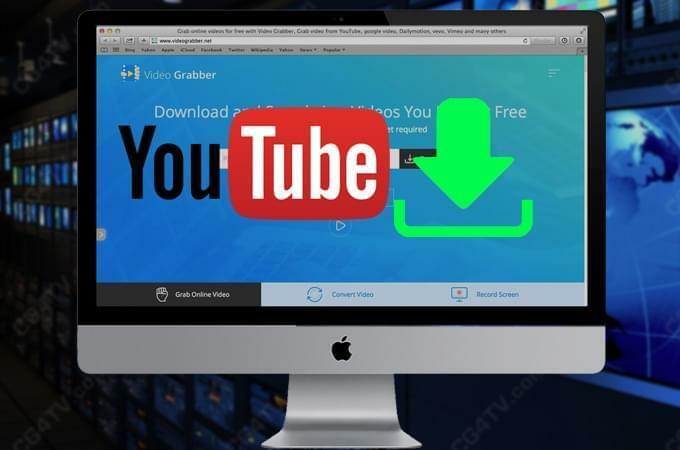 If you are looking to free download YouTube video on Mac, the best programs out there include Video Grabber, Safari, and Video Download Grabber. All of these programs are free to begin using on Mac and offer great quality conversions. With this convenient program, all you have to do is visiting the website link above and following the simple directions. In which case, for downloading free YouTube videos on Mac with Video Grabber, you will simply copy the video link and paste it into the allotted area on this website’s homepage. Then you can select one format from many formats provided. Click “Download”, and the video will be downloaded on your Mac. With this option, all you have to do is visiting youtube.com and following the steps here: Safari-Window-Activity. First, look at activity from YouTube. Then, find the biggest video file size and double-click on it. Next, the free downloaded video file will be saved to your Mac with the FLV format. Afterward, this video format will need to be converted, if you plan to listen to the music from your free converted YouTube video off your Mac. With this free YouTube video downloader on Mac, Mac users are able to download videos professionally from YouTube. This free downloader must first be downloaded to your Mac, in order to use. Video Downloader for Mac is a paid program that offers a free trial. Afterward, the fee for complete access is $29.00. Nevertheless, this program offers many benefits, such as batch video download and conversion, ease of use, and many more powerful functions. In which case, this program offers many professional features for quality video downloading on Mac. Between these three free YouTube video downloading programs, the one that is the most convenient and simple to use is Video Grabber. This program is completely FREE, and will not change at any given time. 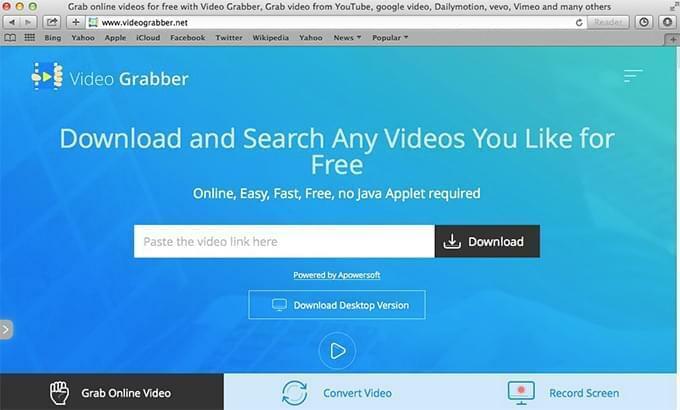 Video Grabber can free download YouTube video on Mac with a few clicks and offers multiple video and audio format options for downloaded videos to be converted per your individual preference. Downloading YouTube with the Safari browser is easy enough, but FLV is the only output format used, which is not the right format for digital players. In this case, once the YouTube video is downloaded it will have to be converted into a more compatible video or audio format using other programs. Finally, Video Download Capture gives all of these options. Yet, it is only free for a specific trial period. Rating: 4.8 / 5 (based on 10 ratings) Thanks for your rating!